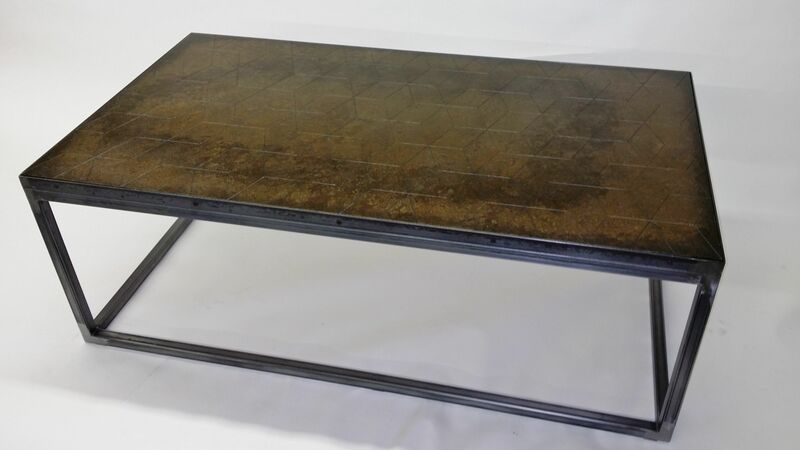 Metal coffee table, size 48"x27"17". 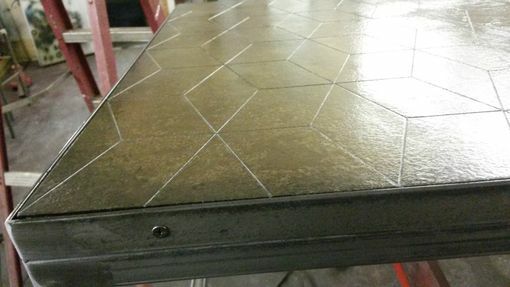 Burnished metal look top, laser etched into a parquet pattern. Shipping is only an estimate. Shipping is may vary greatly dependent on your location and current carrier rates.